Dinner just isn’t dinner without dessert afterwards. From soft breads and gourmet pizzas to delectable cakes and cream filled doughnuts, the Visit South Jersey Team has put together a list of the top bakeries in our region. These bakeries put a creative and seasonal twist on all of their homemade products. At Aversa’s, you’ll find hundreds of homemade products such as breads, pastries, prepared foods, and gift baskets made on the premises! 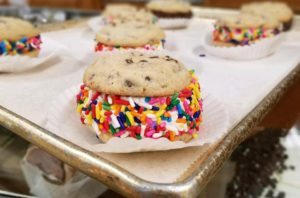 Opened in March 2017, the Broadway Bakery serves up good-to-the-last-crumb doughnuts, delectable pastries, flavorful cookies, and eye-catching cakes. All of their incredible creations are made fresh right in Uptown Pitman. Nothing is artificial, no chemicals that you can’t pronounce – they keep it simple. Cacia’s Bakery specializes in Italian breads and rolls, stromboli (pepperoni & cheese, vegetable, Philly cheesesteak, and their famous roast pork, broccoli rabe & sharp provolone stromboli) and pizza (red cheese, tomato pie, pizzazz, vegetable, white, and their famous hoagie pizza), as well as fresh filled cannolis and pastries.Their newest location in Williamstown offers a full catering menu with delivery available. Family owned and operated for four generations, Century Bakery specializes in desserts. 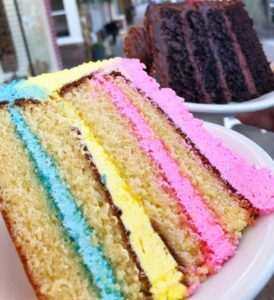 From their famous doughnuts filled until they’re ready to explode and delicious fudgy brownies to their cakes and ice cream cakes, Century Bakery is your one-stop shop for the sweets in Cumberland County. Deeb’s Bread is best known for their amazingly delicious pizza, as well as their rolls, breakfast sandwiches, and monkey breads. The bakery is open Wednesday through Sunday. For over half a century, Deluxe Italian Bakery has taken pride in bringing customers fresh, natural, great tasting Italian breads, rolls, and pastries. Pro Tip: Try the cream filled doughnuts – they’re the best! 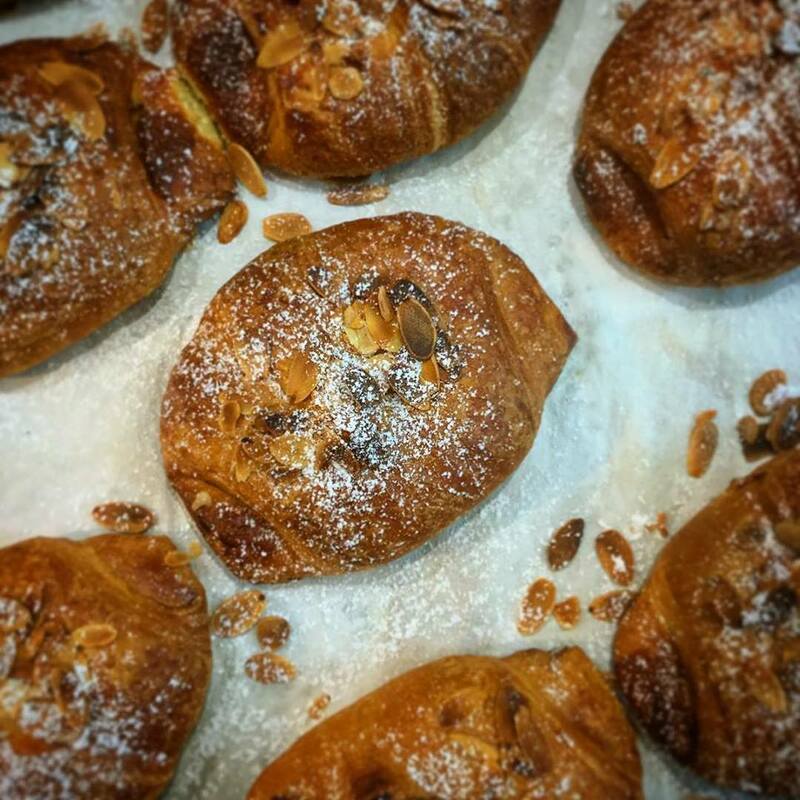 Dulce is a modern bakery that focuses on bold new flavors and ideas. Their menu changes weekly. They strive to carry a diverse range of products to accommodate most dietary preferences including some naturally nut-free, dairy free, gluten free, and vegan items (they are not specifically an alternative bakery). Enjoy everything fresh at the Mullica Hill Amish Market, where you can find Lancaster County delicacies right here in South Jersey! The market has a bakery and doughnut shop, fresh produce and smoothie stand, fresh meat butcher, dairy and cheese, BBQ, and an Amish restaurant. The Italian Kitchen is a full service pizza shop, deli, convenience store, bakery, and caterers. You can pick up dinner from the kitchen menu, milk for breakfast, and deli meats and cheeses for tomorrow’s lunch. They also have delicious, fresh specialty breads made daily right on the premises. Make sure you visit their second location, the Roman Pantry, in Carney’s Point. Whether you’re celebrating birthdays, weddings, holidays, or simply dessert, JB Bakery has you covered! This Burlington County landmark has been around since 1952 and offers hard-to-find specialties from all over the world, holiday delicacies, seasonal specials, fresh bread and rolls, a coffee bar, and exceptional service. If you haven’t had one of McMilliam’s cream filled doughnuts yet, you need to get there fast! This bakery has been a community staple since 1939. The Olde World Bakery and Cafe serves artisan bread, pizzas, and pastries baked daily in their brick oven. Breakfast and lunch items are available every day; dinner is available Wednesday through Saturday. This snug, stylish bakery whips up a variety of gourmet gluten free desserts such as cakes, cookies, cinnamon rolls, macaroons, and more! They also have a breakfast, lunch, and dinner menu that includes gluten free waffles, crepes, and paninis. Make sure you check out their seasonal fall specials! Sweetsboro Pastry Shoppe is an old-fashioned European bakery with roots from Philadelphia and Germany. They specialize in quality baked goods from scratch that will satisfy anyone with a hunger for a tasty, sweet treat. They feature custom birthday and wedding cakes, as well as a variety of specialty cakes. Whether it’s breakfast, a special birthday or anniversary, or an event where you only want the finest for family, friends, and associates, head to Cake Stand Bakery for all of your handmade from scratch products! The bakery offers breakfast pastries, signature cakes, loaf cakes, cookies, cupcakes, tarts, and miniature desserts, as well as custom orders. 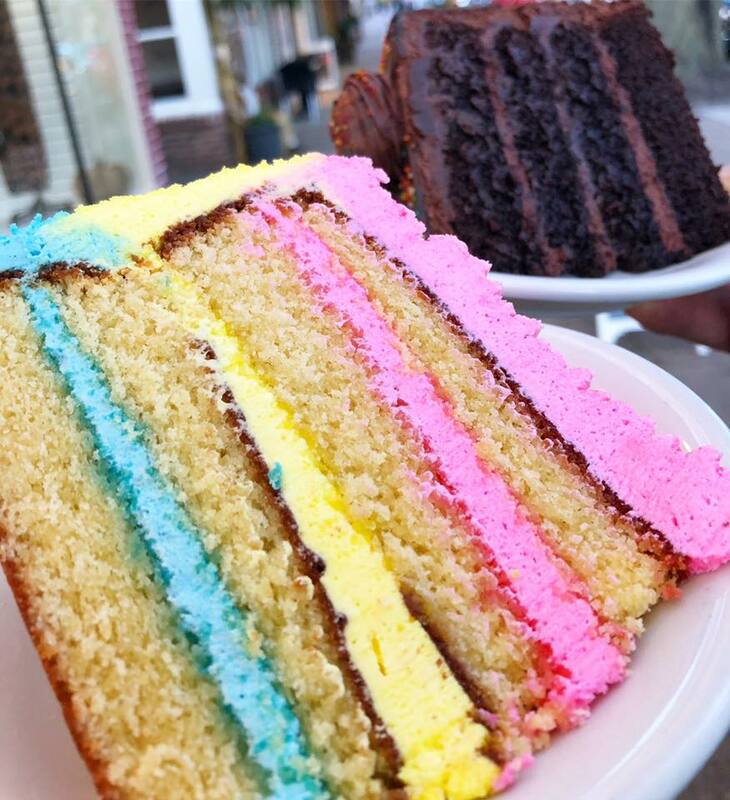 Yummy Yummy Bakery and Cafe is owned and operated by a husband and wife duo, who made the move to Deptford after spending 10 years sweetening things up in Old City Philadelphia’s Bourse Building. Customers rave about their savory breakfast sandwiches and beautifully decorated cakes. Pro Tip: Try the smoothies – there are so many delicious flavors, plus the size is huge!